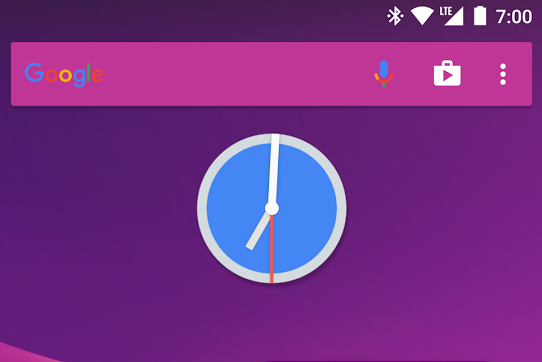 Android O to bring Animated Clock Icon and Widget, Get it right now! Earlier this week, we reported that Android 8.0 could be named Android Oatmeal Cookie, as the sweet name was mentioned multiple times in Android Source code during Google I/O presentation. With every Android version, Google brings a lot of new features to enhance and improve the Android OS. We have already seen a number of new features which came along with Android O Developer preview. Now, according to the latest reports, the final version of Android O might bring Animated Clock Icon and Widget. The latest Android O Developer preview's "Google Clock app" contains images and code of the upcoming Animated clock. That said, we might get Animated Clock Widget and Icons with Android O. However, you can use the Animated Clock right now by Installing the Action Launcher v25.0 (Play Link).